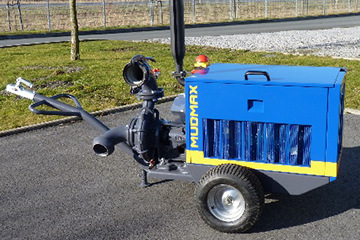 Since summer of 2008, there is a new element to the XL production series named ROTOMAX XL R, with the “R” being for Rotary. 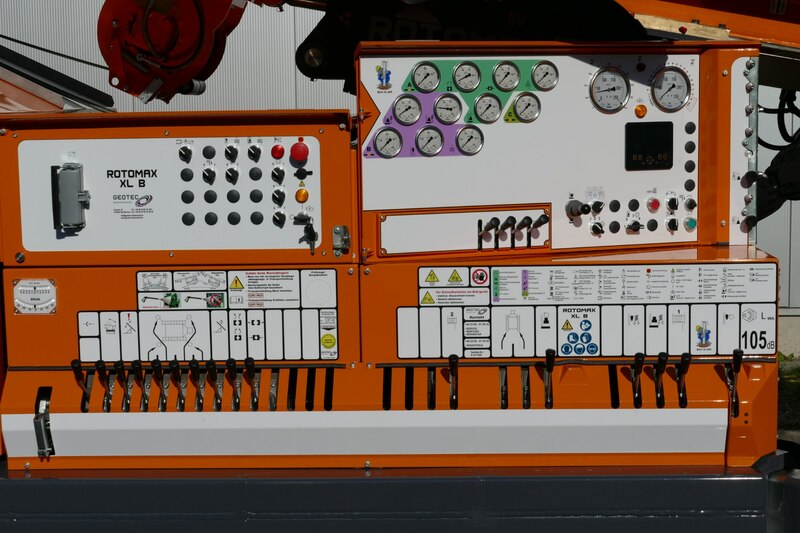 Although the XL style prevails, the XL R possesses some special features. 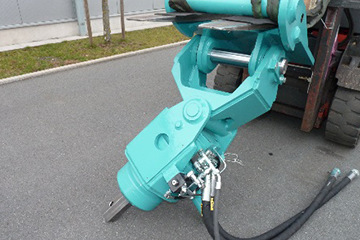 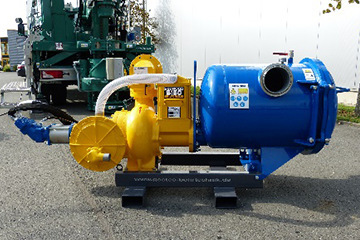 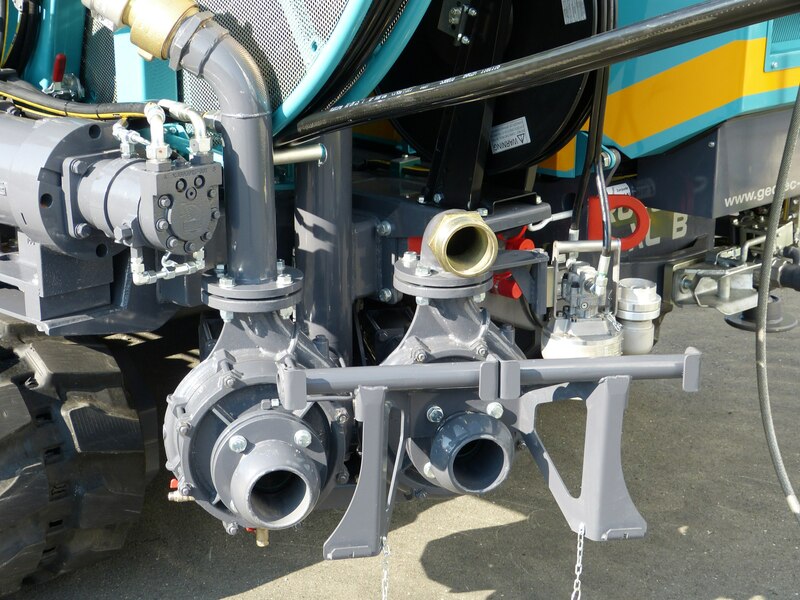 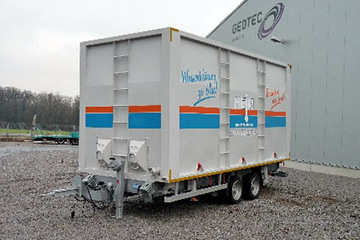 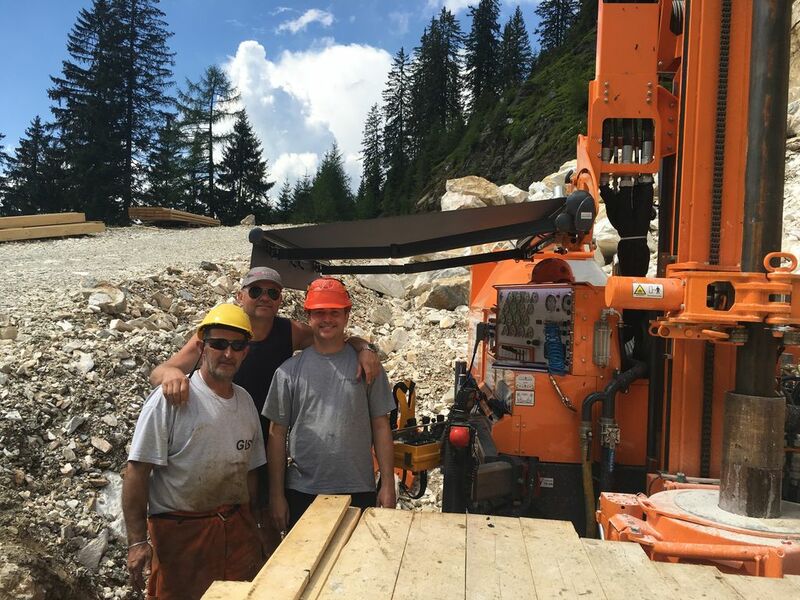 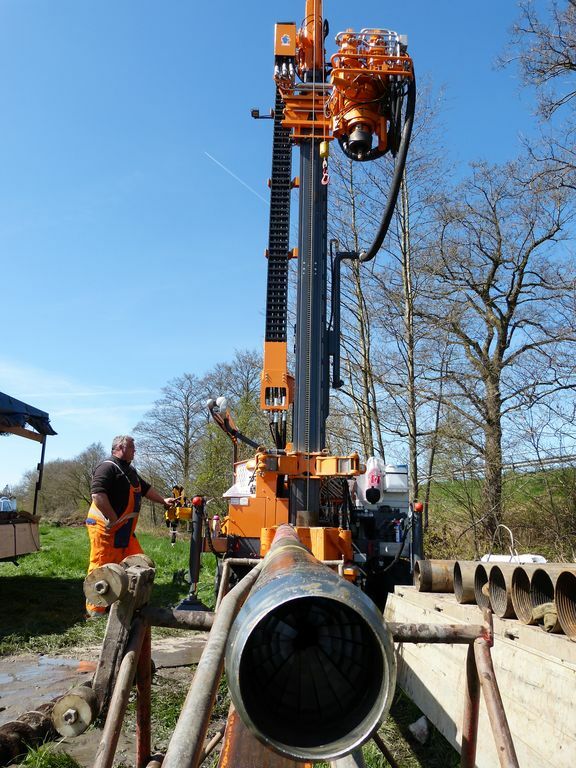 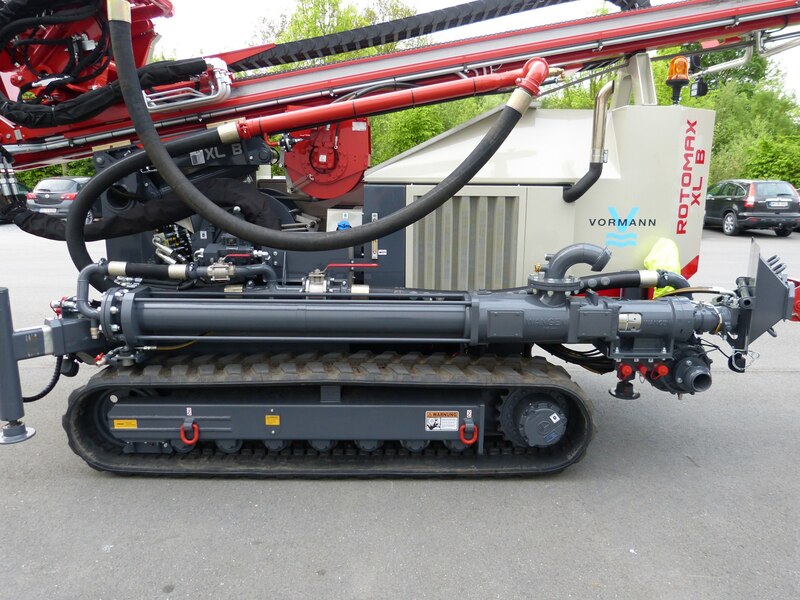 In addition to common flush drillings, it is also able to handle suction drillings due to a passage through the gearbox 140 mm wide and excellent pump technology, as well as air-lift drillings. 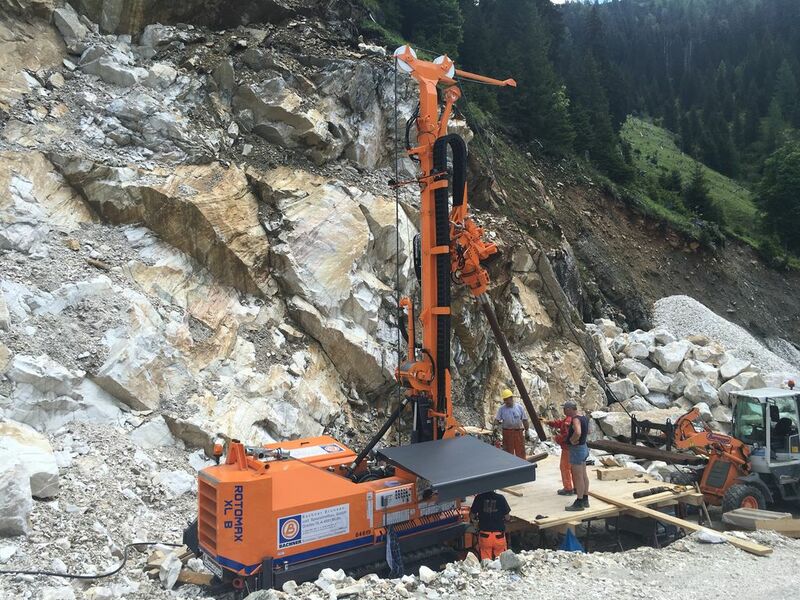 The ROTOMAX XL R definitely is a workhorse – the chuck head with a 178 mm diameter, a torque of 26 kNm and rotations per minute up to 120 rpm provide you with sufficient scope to meet your drilling challenges. 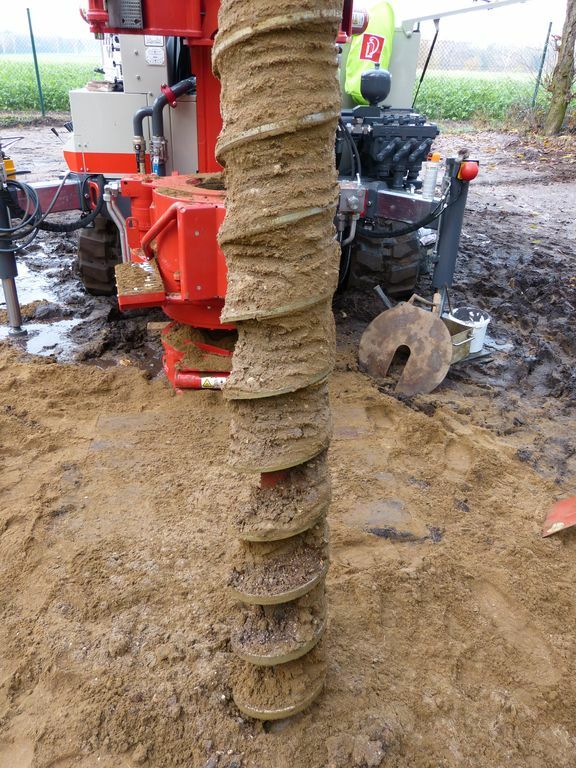 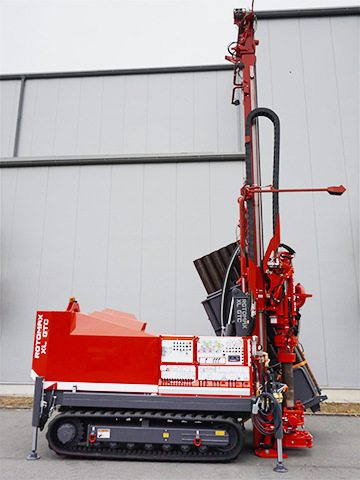 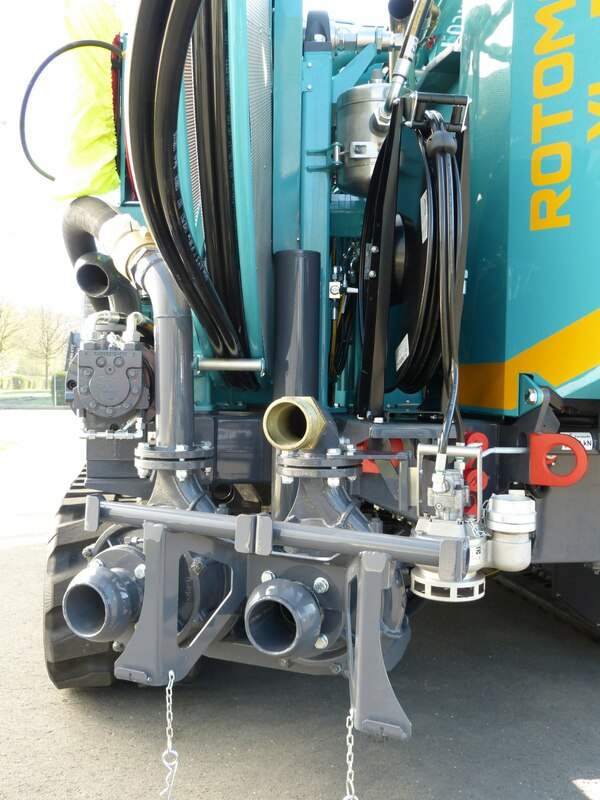 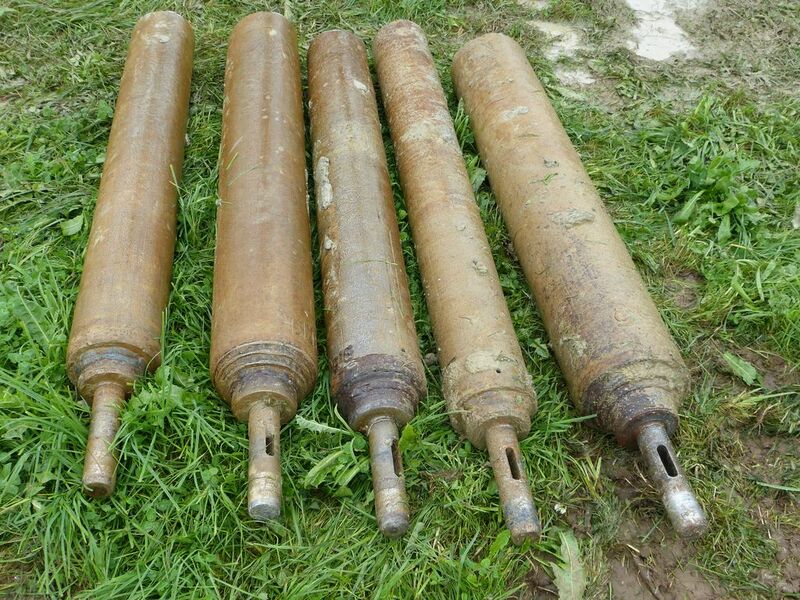 As of 2013, the Rotomax R became the new, reworked Rotomax XL B, where ‘B’ stands for well drilling. 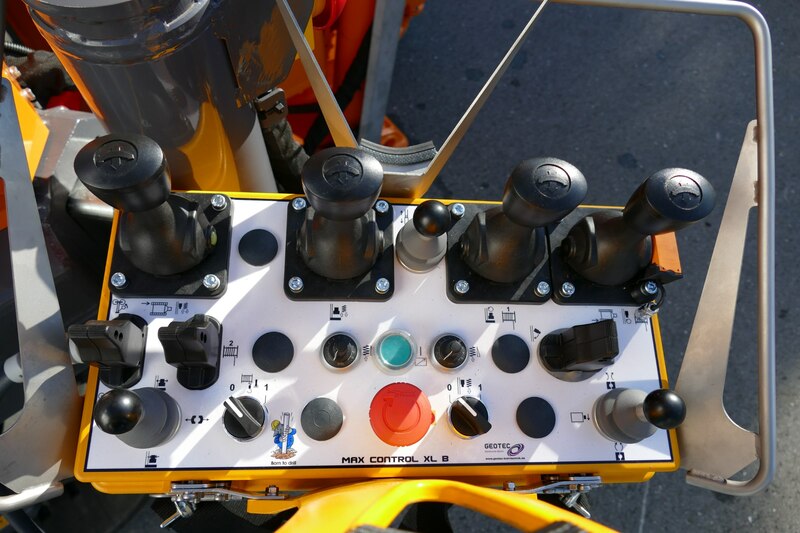 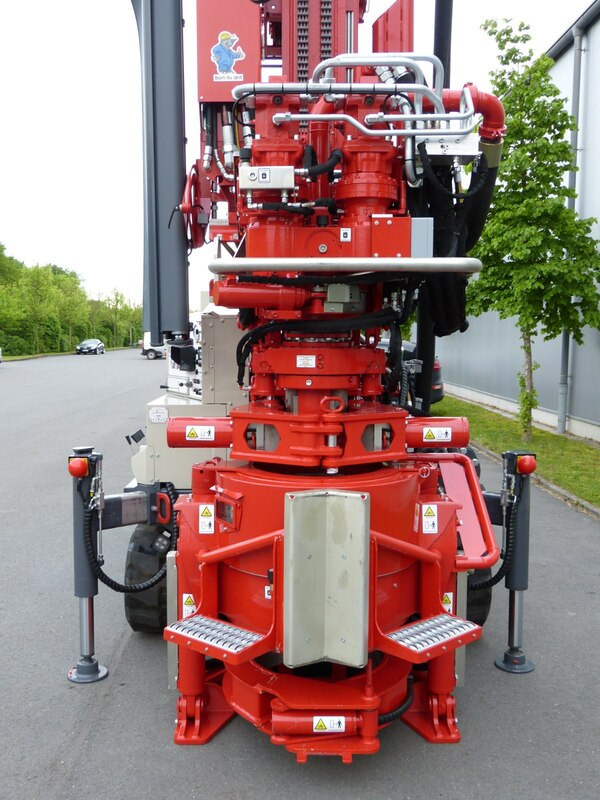 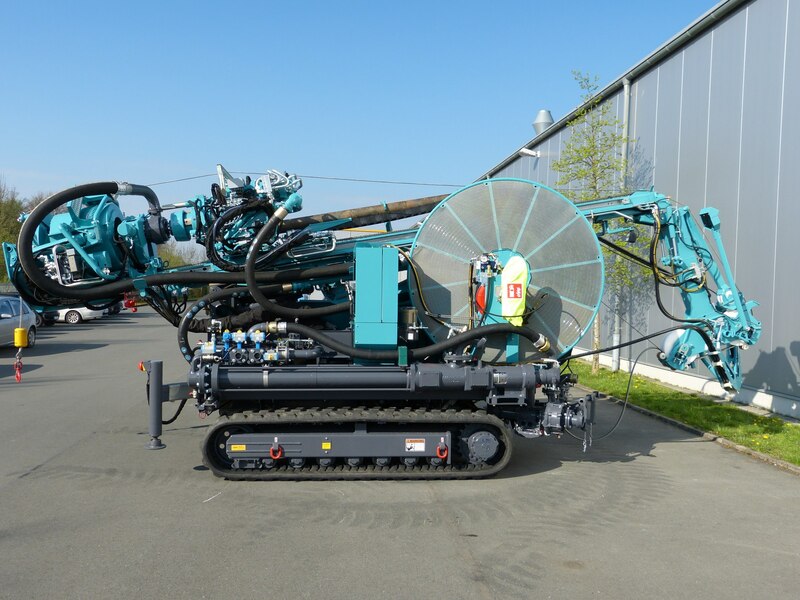 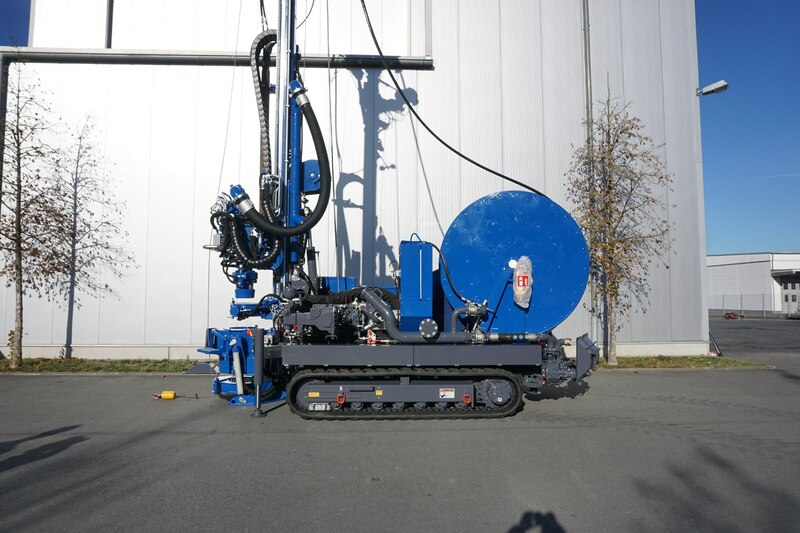 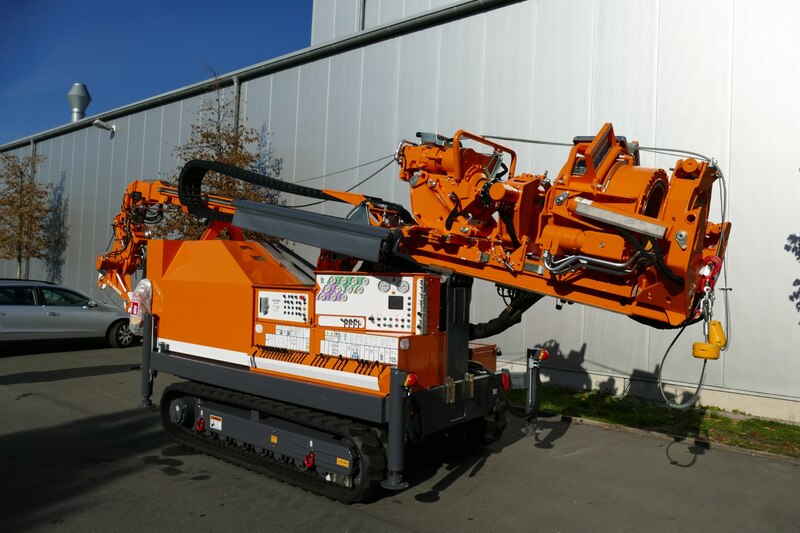 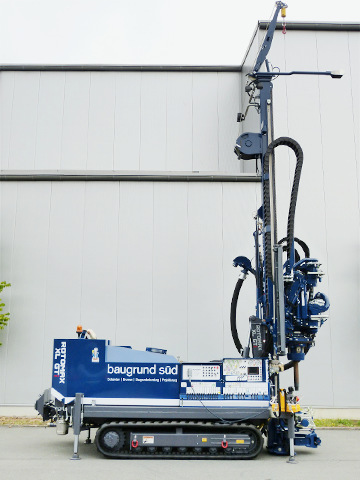 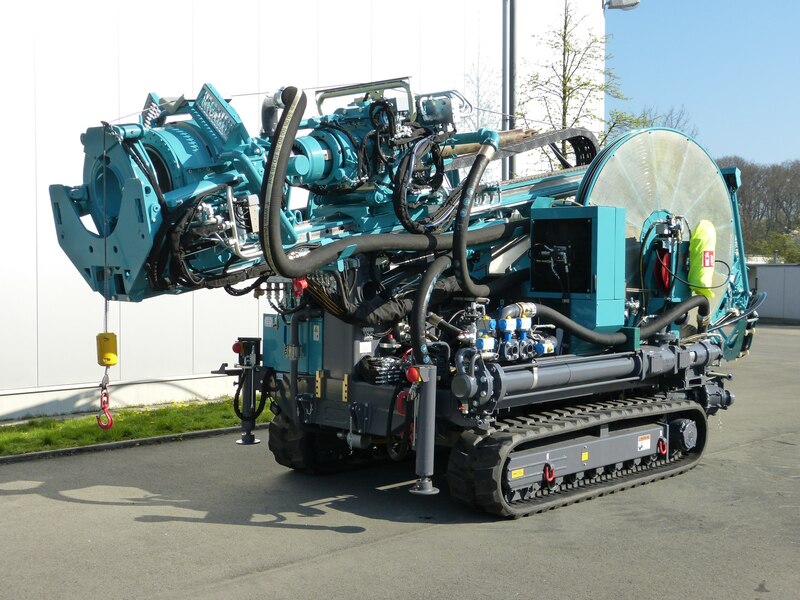 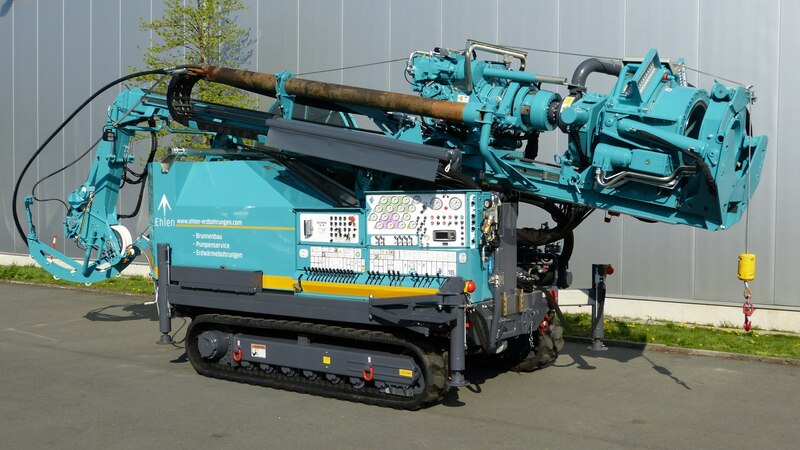 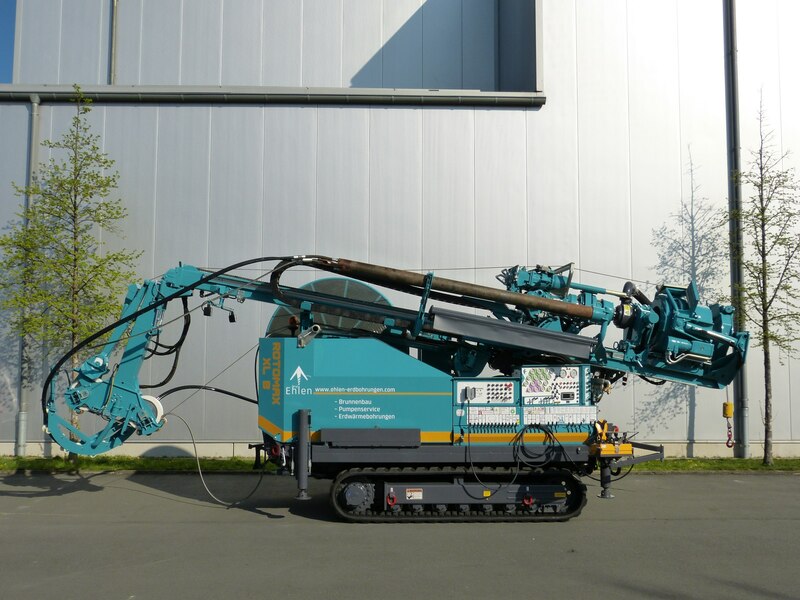 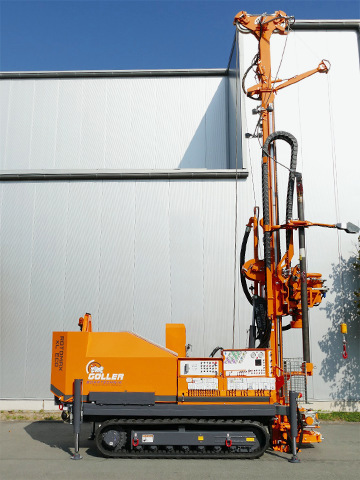 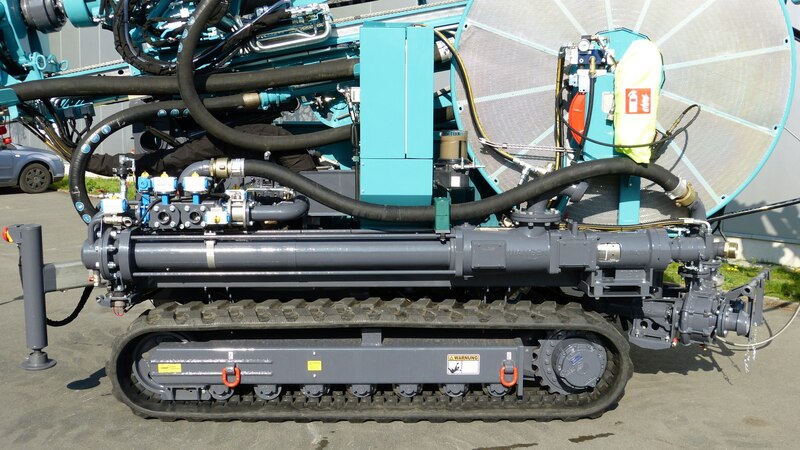 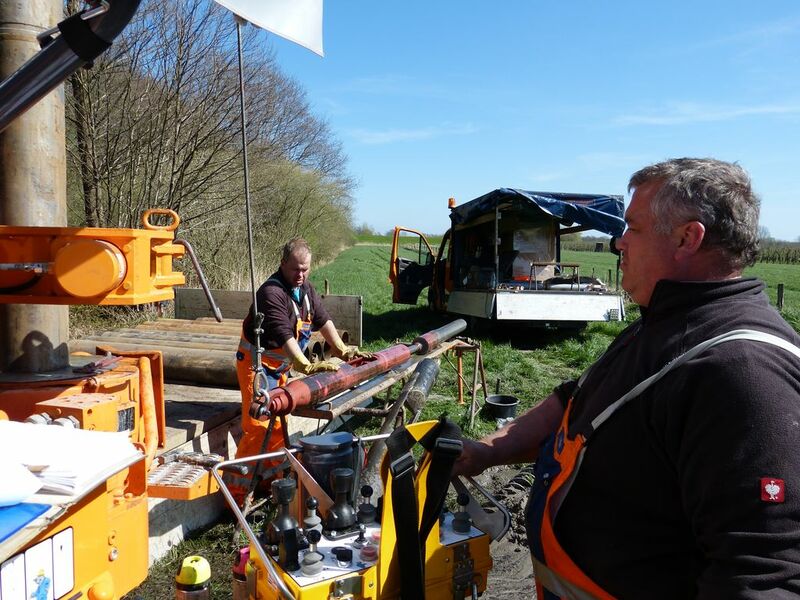 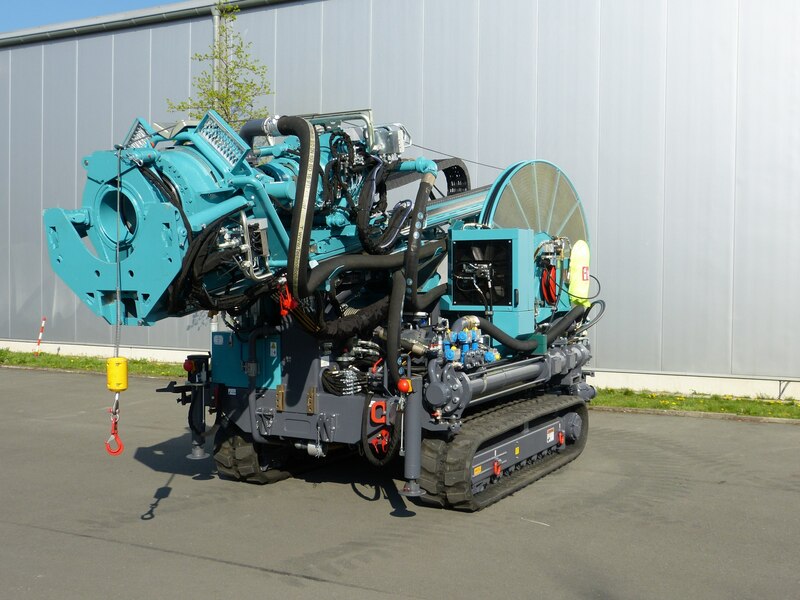 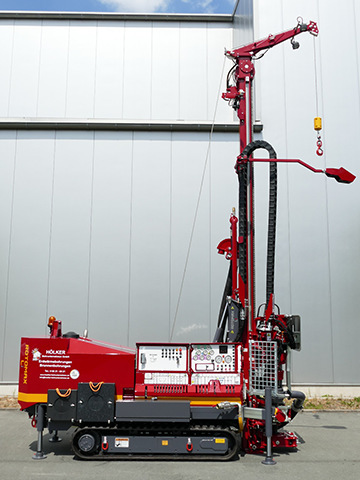 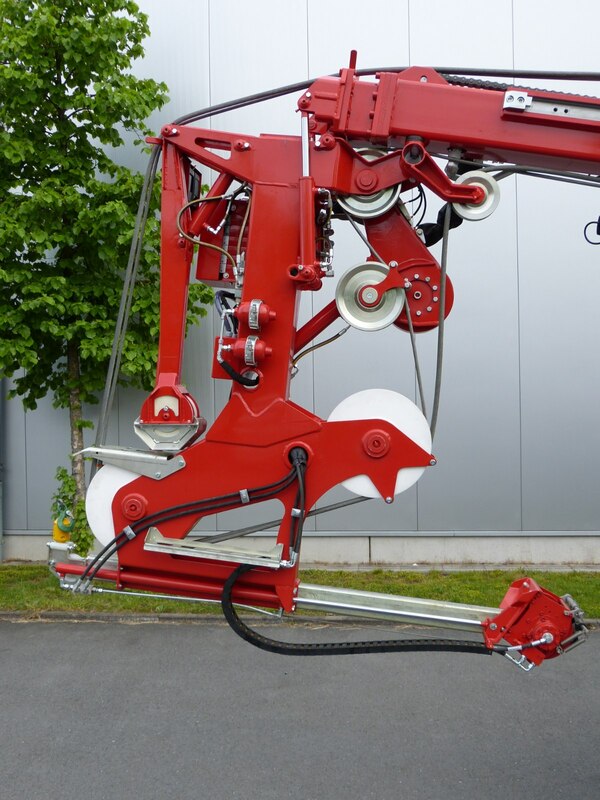 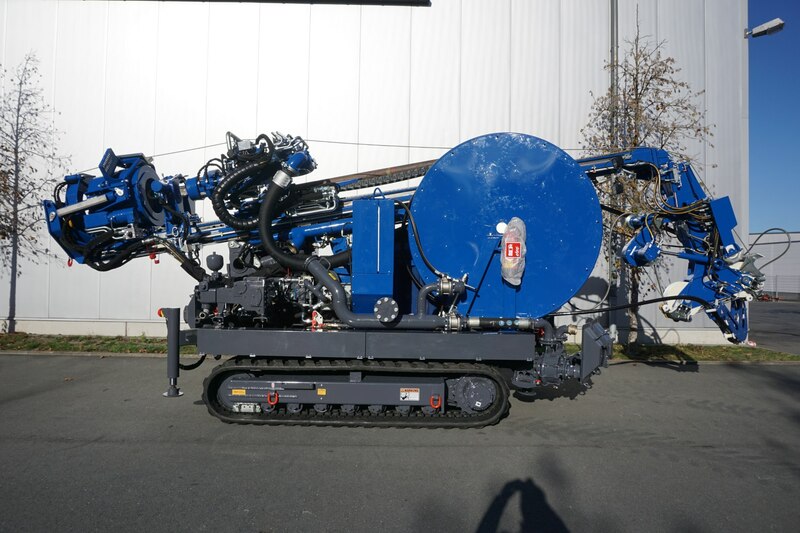 Modernised drilling units with rotational speeds for rotation core drilling and free passage of up to ø175 mm through the gear boxes make it possible to drill using the reverse circulation drilling method. 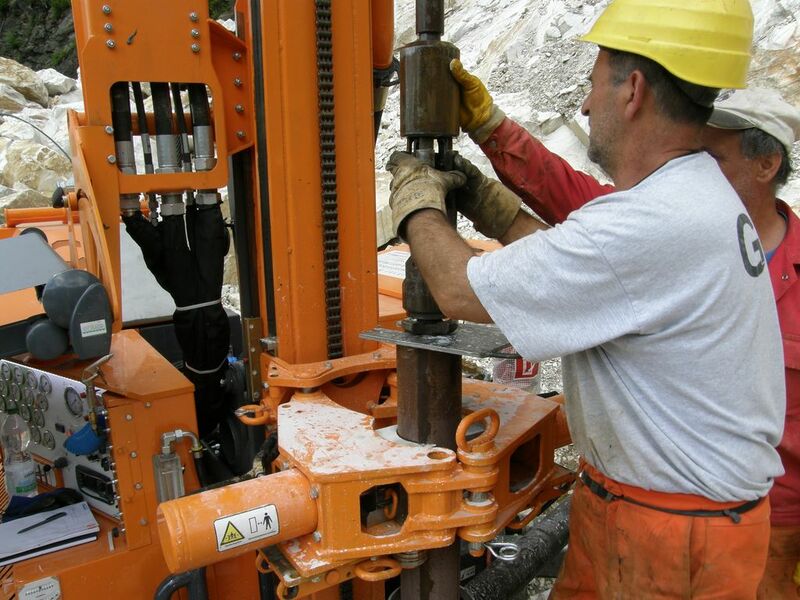 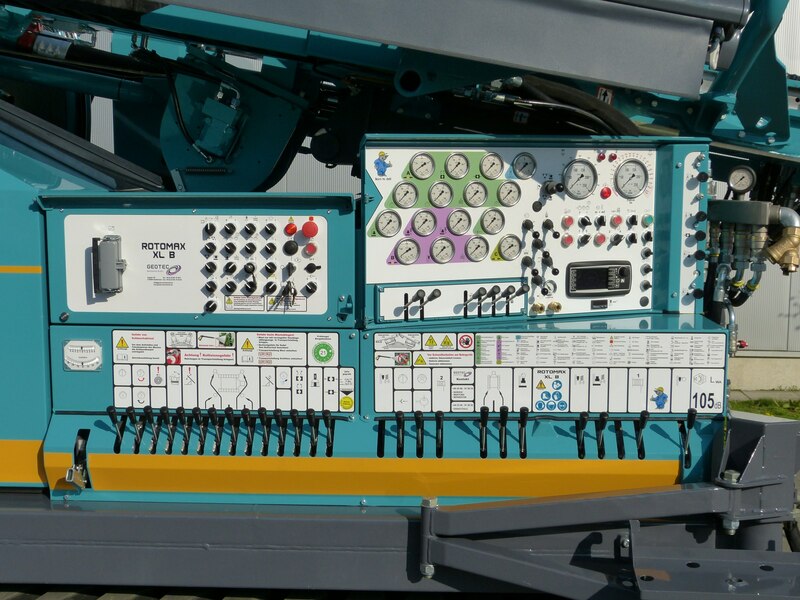 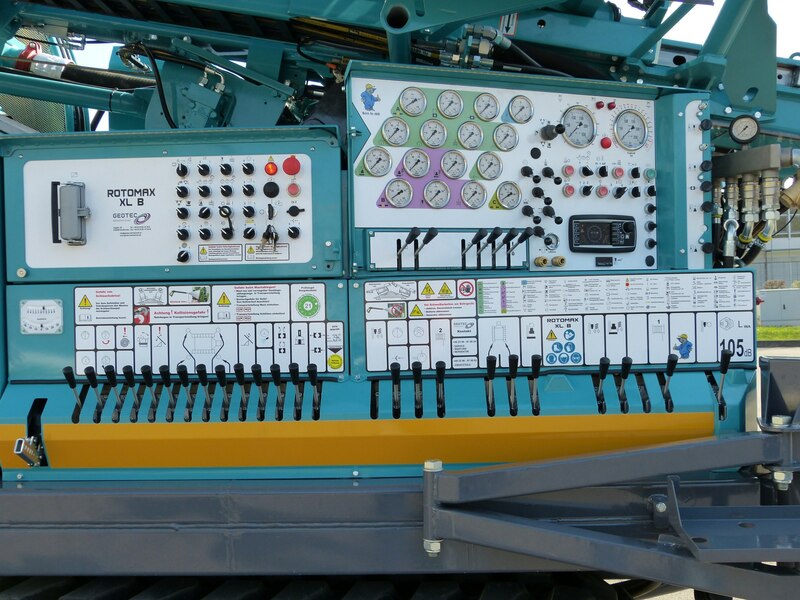 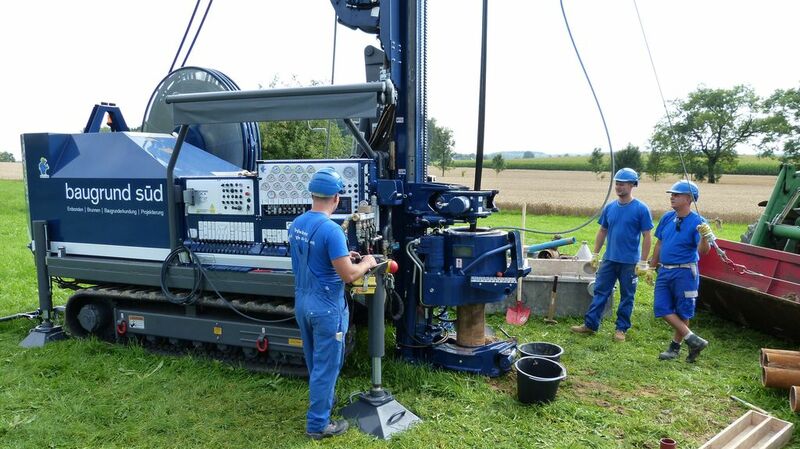 The expanded distance from the mast front to the center of the drill hole allows for highly calibrated well drilling. 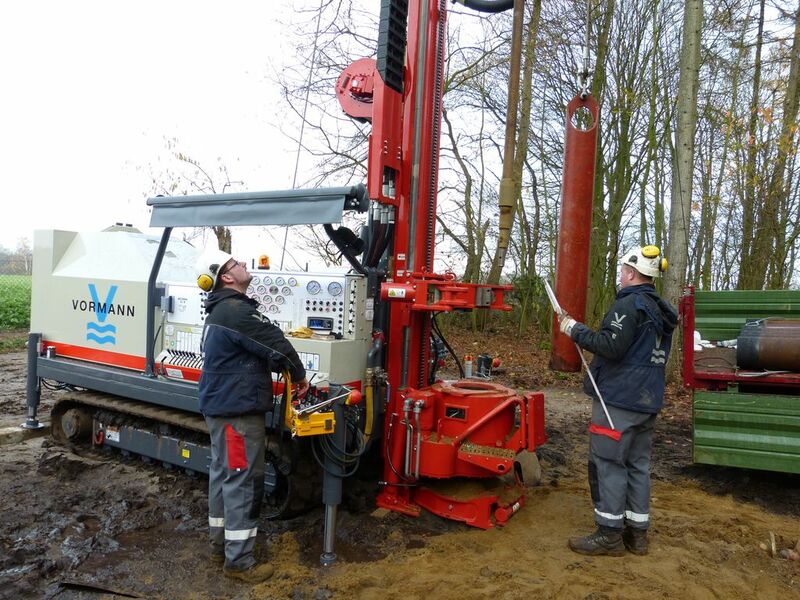 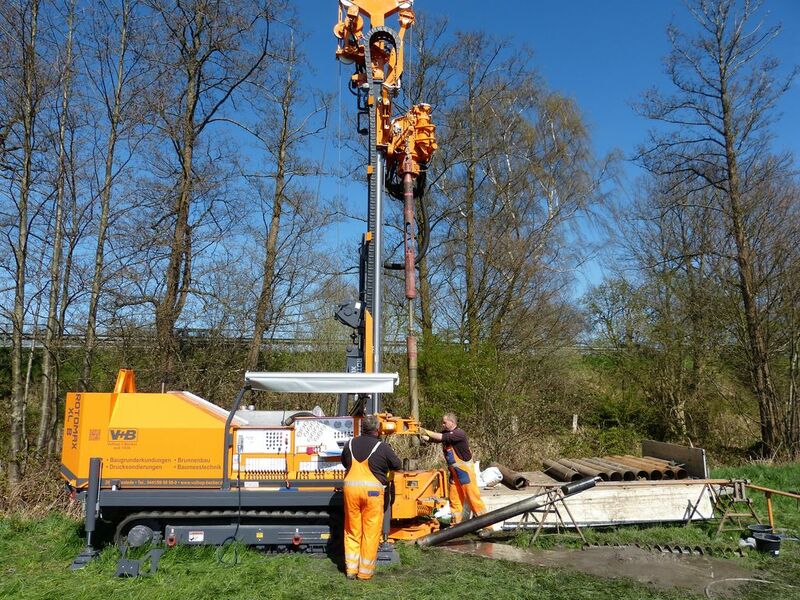 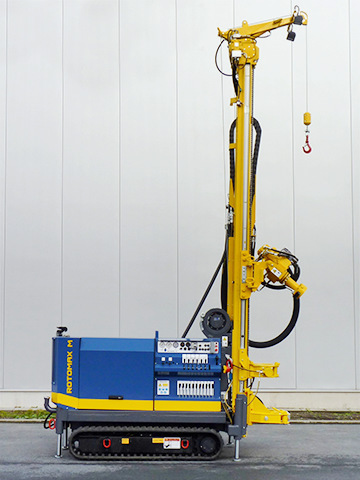 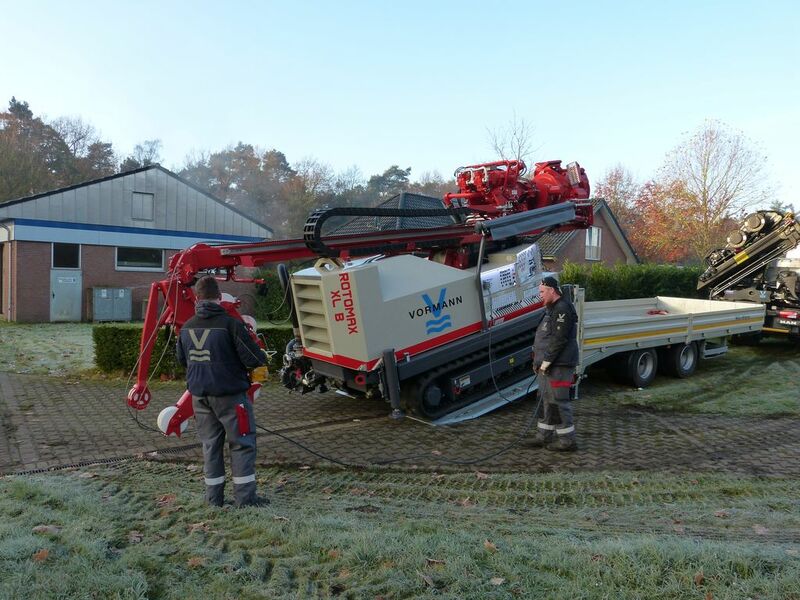 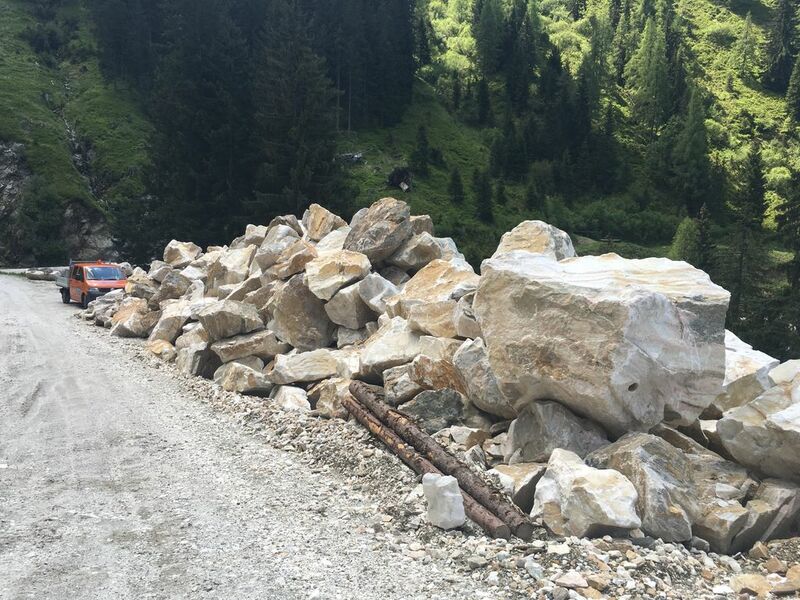 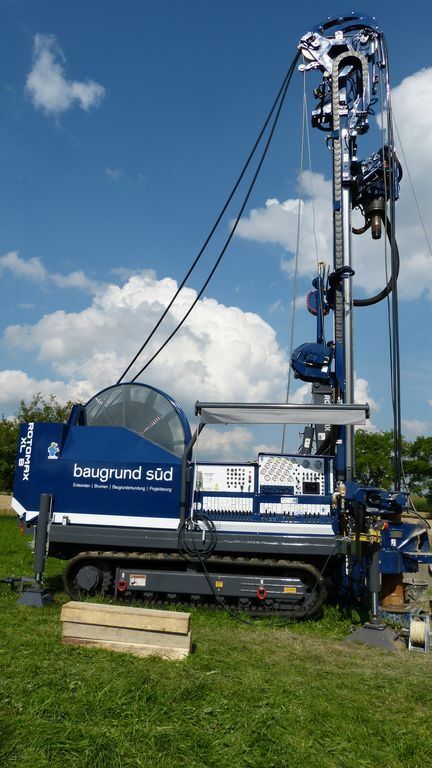 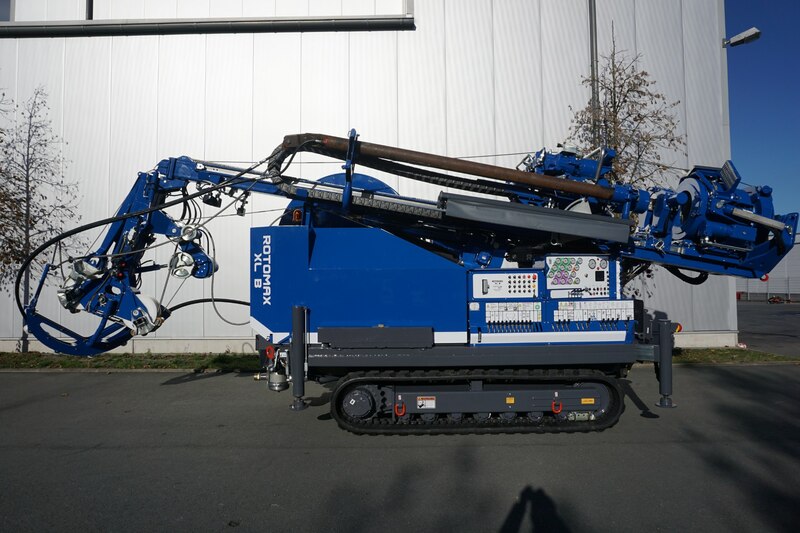 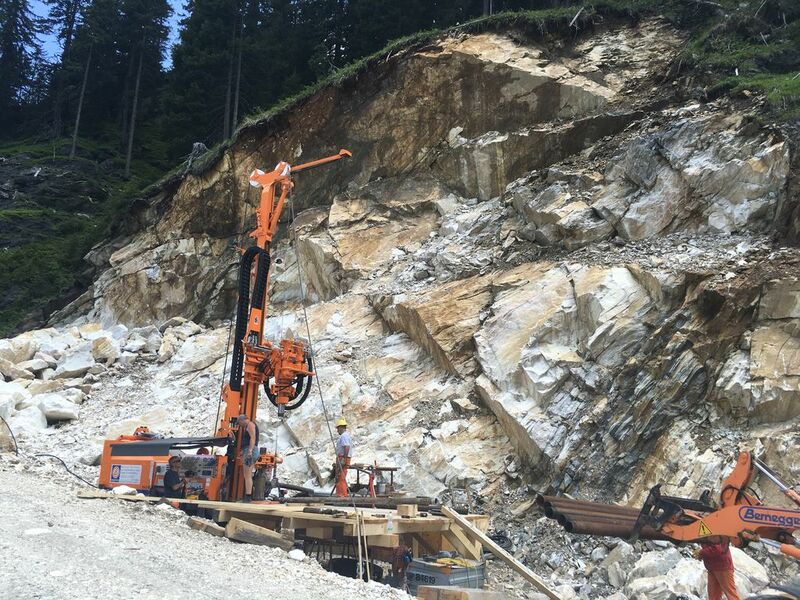 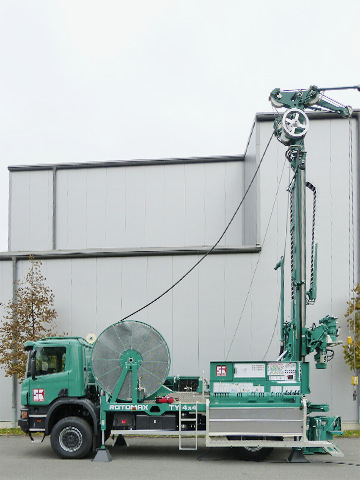 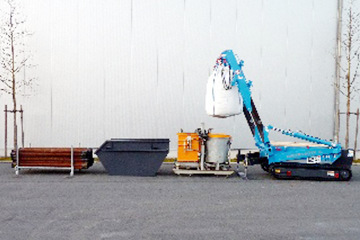 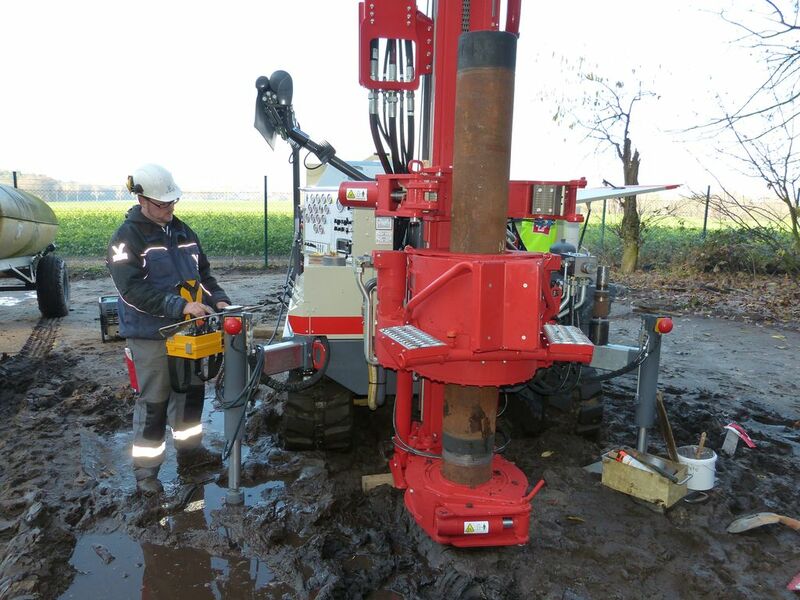 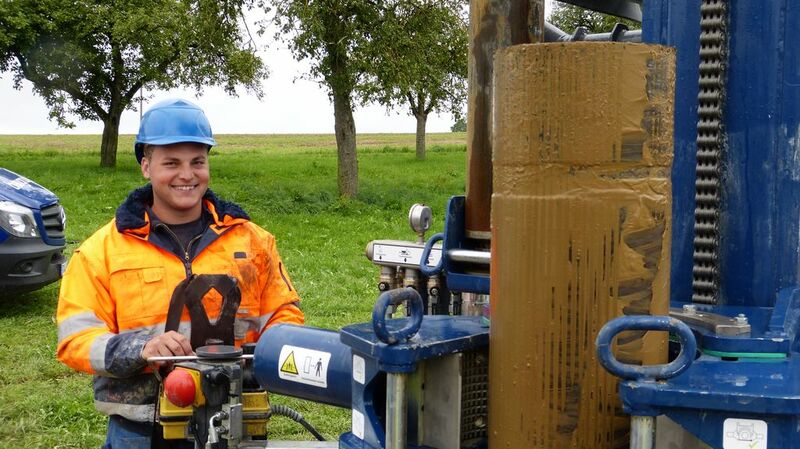 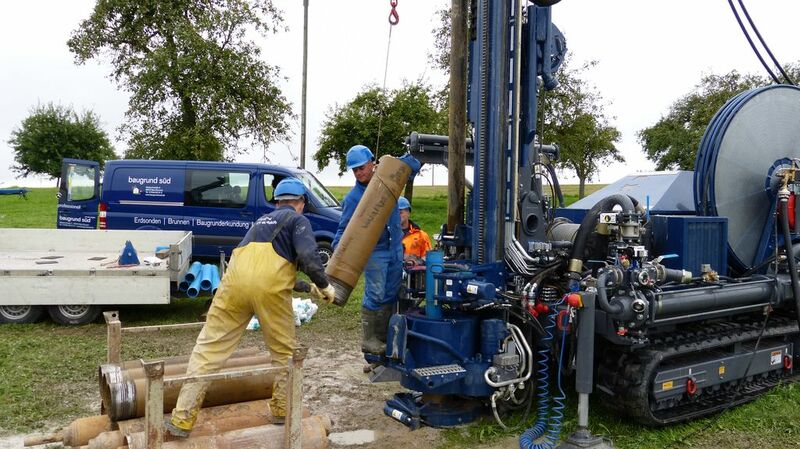 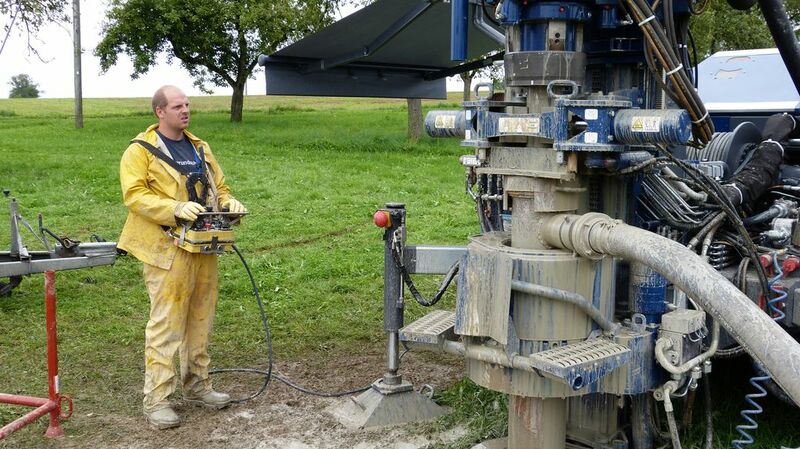 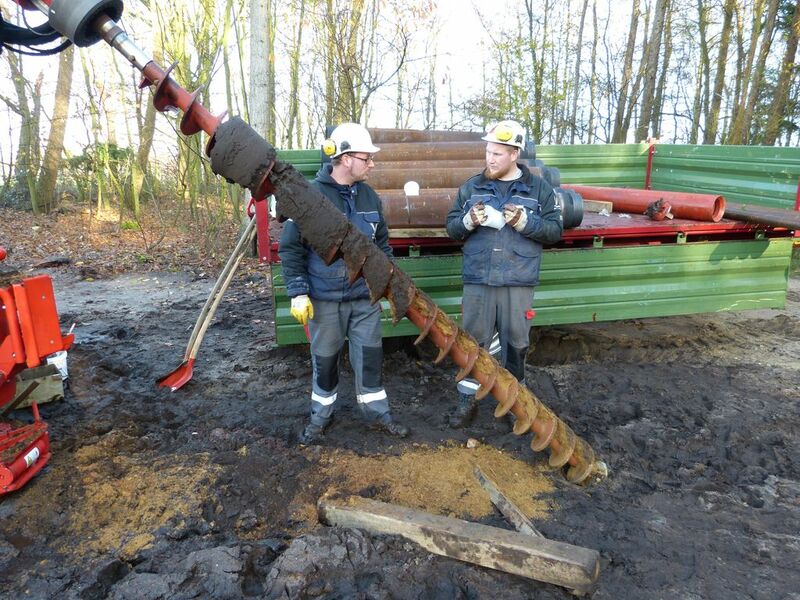 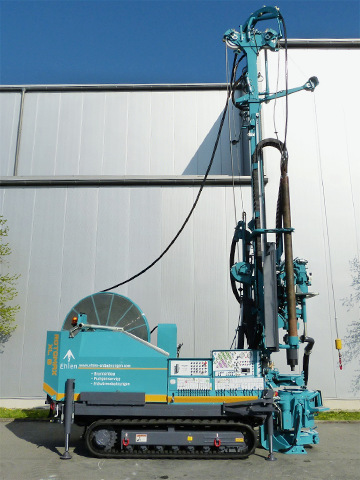 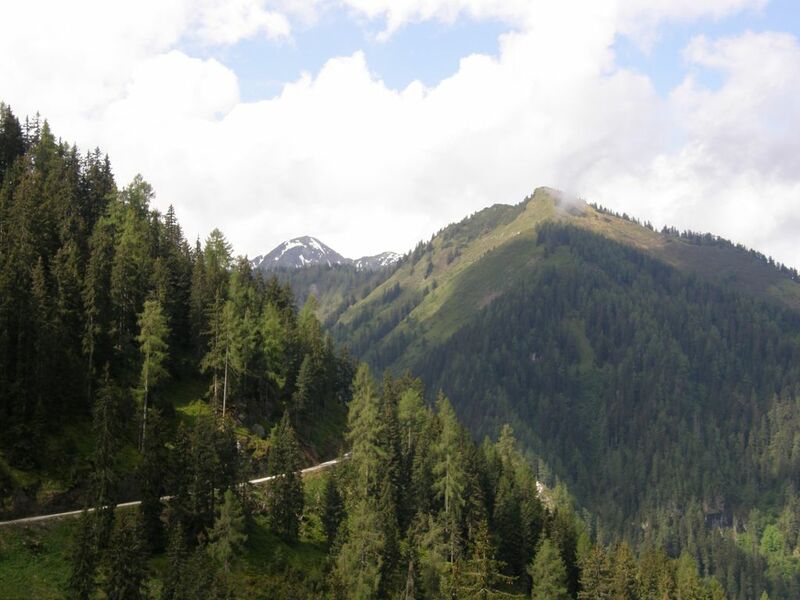 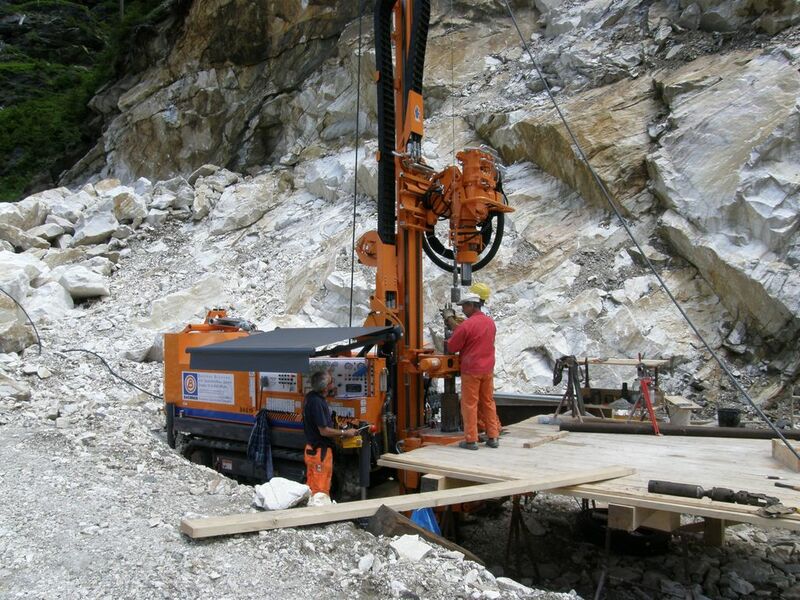 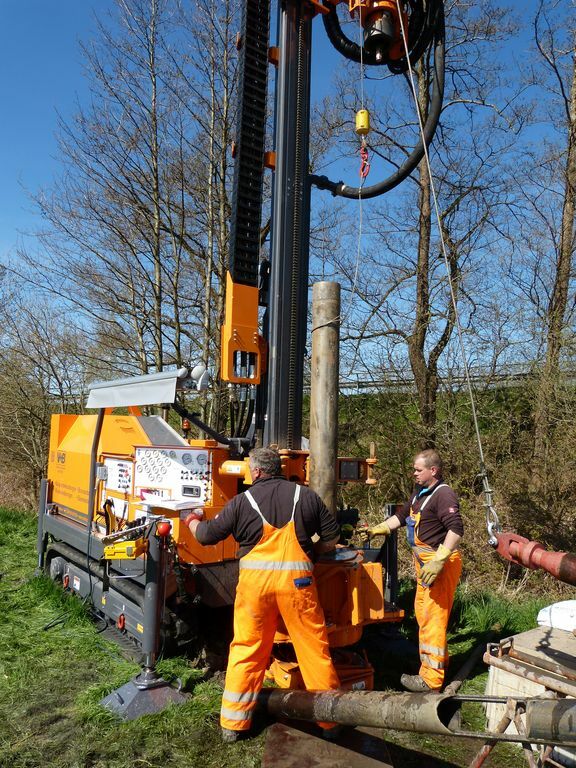 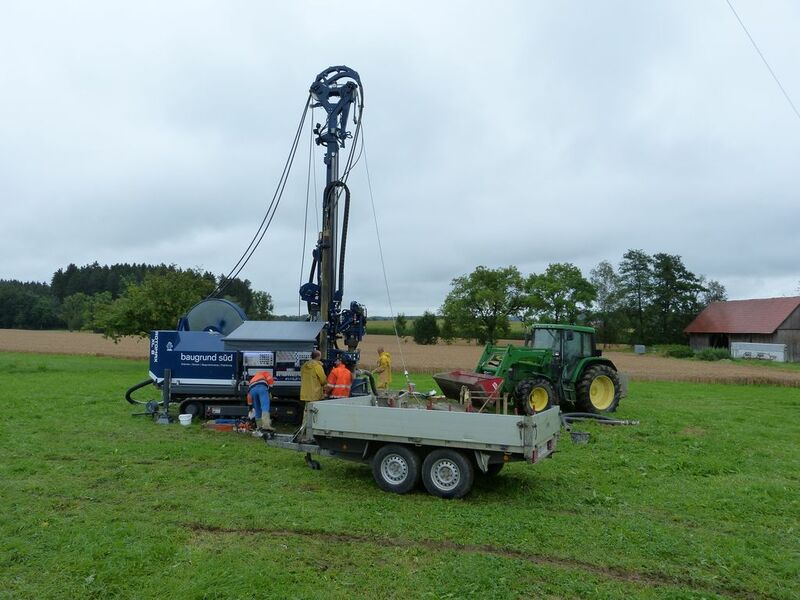 Motorisation of 106 to 205 kW ensures sufficient power in difficult day-to-day well drilling. 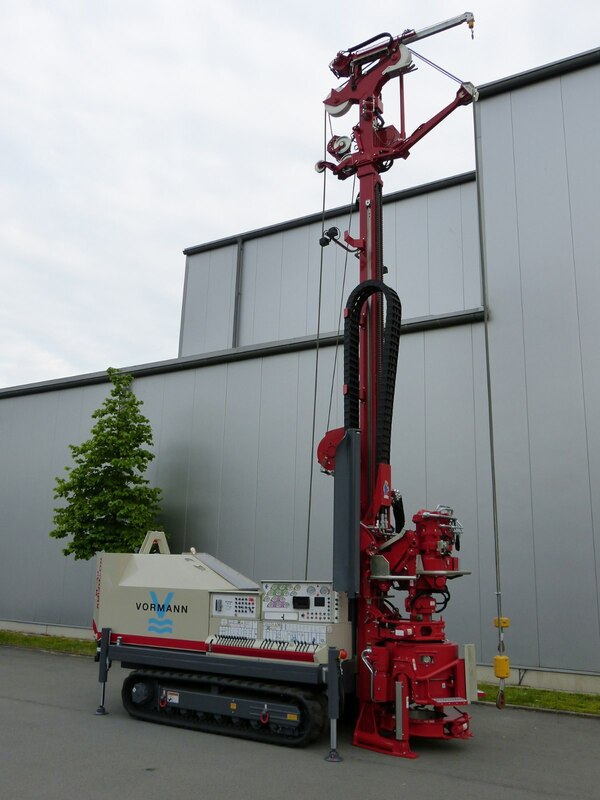 The new heavy-duty cable percussion device with up to 9 kN of cutting force offers new options for dry drilling methods with VDT 324, 419 and 521.